Australia’s -first ‘Snapchatable’ cup appeared in all restaurants this week. Customers can get creative and apply their favourite Snapchat Lens to the unique cup design. They can also unlock a suite of Geofilters throughout summer with a unique Snapchat code printed on the cup. 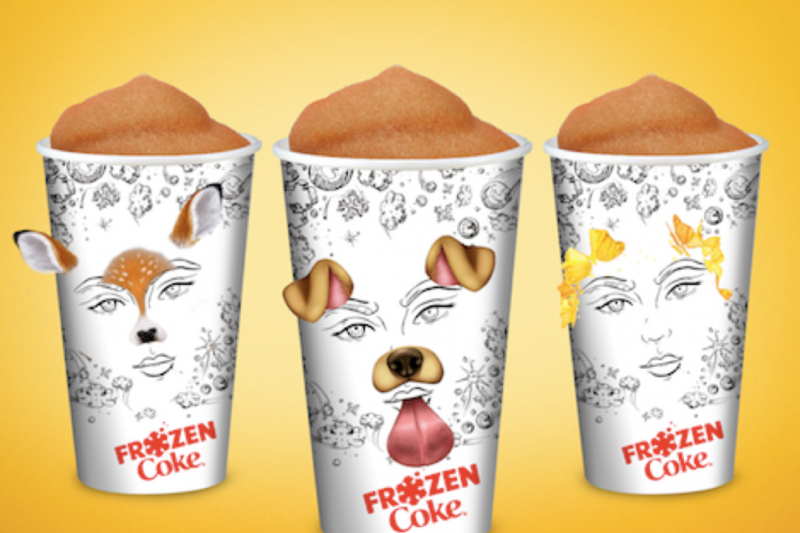 The most creative Snaps sent to @Maccas will be featured on their daily Story- How good! Wondering what to have for a healthy breakfast? Les Mills have you covered. They shared the recipe for raspberry chia pudding on their snap recently accompanied with excellent creative instructions. We are looking out for their recipe for the next yummy bite & you should too! 75th Anniversary celebrations for the NZDF involved countries from all over the world and put New Zealand in the spotlight. NZDF did it right when it came to creative that supported their stories. Colourful, crafty content that sparked a lot of engagement because viewers could really tell that they had put the effort in for them.